(CNN) The Obama administration is making it easier for doctors to use anti-addiction drugs in the fight against an exploding epidemic of prescription drug and heroin abuse. It’s part of a package of new initiatives announced Tuesday that includes other efforts to expand addiction treatment and increase coverage for mental health and substance abuse services. These initiatives are in addition to the $1.1 billion he proposed last month. Overdose deaths from opioids — drugs that include heroin as well as prescription drugs like oxycodone and hydrocodone — continue to be the leading cause of unintentional death for Americans, rising 14% from 2013 to 2014. Every 19 minutes someone dies from an opioid overdose. Medication-assisted treatment with drugs like methadone and buprenorphine is a key component of the administration’s attack on the opioid epidemic. These drugs are used in conjunction with behavioral treatment to help manage an addict’s recovery and ease withdrawal from opioid drugs. Some critics are concerned that drugs like methadone or buprenorphine could be diverted, or that their use could lead to further addiction. However, Caleb Banta-Green says we can’t ignore their success. “Buprenorphine and methadone cuts mortality rates (of addicts) in half. … The fundamental line is that we need to keep people alive,” said Banta-Green, a senior research scientist at the Alcohol and Drug Abuse Institute at the University of Washington. Currently, physicians are limited by law to prescribing buprenorphine to just 100 patients per doctor. The White House is increasing that cap to 200 patients per doctor. But there’s also a limited number of doctors around the country eligible to prescribe the drug, just about 30,000. Last October, states and private sector groups proposed to double the number of buprenorphine prescribing physicians over the next three years. So far, 2,200 additional physicians have committed to complete training in buprenorphine prescribing, the White House said. Banta-Green said expanding the number of doctors is key in the fight against an epidemic that is hitting more and more in rural and suburban areas, where access to treatment is limited. “You have to push out care to many more places,” he said. In addition to upping the patient limit, the White House also announced an additional $11 million to go toward state efforts to expand medication-assisted treatment programs, as well as another $94 million in new funding for treatment services to 271 community health centers across the country. providing an additional $11 million to increase access to naloxone, the opioid overdose reversal drug. ensuring that mental health and substance use benefits are offered as medical and surgical benefits are for those enrolled in Medicaid and the Children’s Health Insurance Program. a $7 million initiative by the Department of Justice toward policing and investigating heroin distribution. guidance from the Department of Health and Human Services for federally funded needle exchange programs. Public health experts said they were pleased to see the White House attention to community health centers and needle exchange programs. 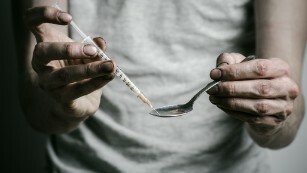 “We’ve seen these programs at the front lines of overdose death, bringing people to drug treatment, and addressing the risk of hepatitis C and HIV,” said Daniel Raymond, policy director for the Harm Reduction Coalition, an advocacy group working to mitigate the effects of illegal drug use on people and communities. Banta-Green said the focus on community health centers was key because they are more likely to be access points for continuous, ongoing addiction care, instead of a hospital or jail. What may have the the most lasting effort, Raymond said, is the President’s address at the National Rx Drug Abuse & Heroin Summit in Atlanta on Tuesday. “That sends a powerful signal,” said Raymond. Obama will be taking part in a panel moderated by CNN’s chief medical correspondent, Dr. Sanjay Gupta. Over the past month, federal agencies have been aggressive in implementing new strategies to help fight the epidemic. The Centers for Disease Control and Prevention issued new opioid prescribing guidelines, stating plainly that opioids were not first-line therapies. The Food and Drug Administration issued new requirements that immediate-release, or fast-acting, opioids must carry “black box” warning labels. The FDA is also encouraging abuse-resistant formulations of generic opioids. Generics make up 90% of the market, the FDA said. Many hope that Obama’s addressing these issues can help change the stigma attached to addiction and treatment. “Coming to the summit, he’s coming to an audience of over 1,000 people who are not going to be patting him on the back or paying lip service at all. They are anxious for actions and solutions. I think his willingness to come is more than symbolic. We should expect a lot more to see in his final year of his administration, and some of it is long overdue,” Raymond said. Raymond likened the fight against the opioid epidemic to pushing a boulder up a hill. “There are signs that we are getting a handle on the prescription opioid problem, but over the past few years the heroin issue has gotten worse. Now that we’re taking more action on heroin, now we’re seeing illicit fentanyl get worse. The problem is spiraling,” he said. “We had an over-reliance on prescription painkillers. We’re going to be paying for the original sins for many years to come. And the problem (that) could have gotten under control earlier is going to be affecting a whole generation,” Raymond said.